The Local Government Amendment Bill has passed it's final reading and the Government is continuing to push through bad legislation with their usual slim majority, 61 votes to 59. John Key's steadfast support of the not so honorable John Banks has helped ensure that they have a very willing yes man who is not likely to question anything his benefactor puts forward. One would have to question the ethics of allowing such close voting to determine controversial decisions when many institutions require a two thirds majority (perhaps this is something we need to review). The Local Government Amendment Bill is being forced through Parliament to replace the aspirational Local Government Act of 2002. This Act was written by Sandra Lee, the Local Government Minister at the time, and Jeanettte Fitzsimons was the chairperson of the select committee that informed it (the previous 1974 Act was a mishmash of historical regulation and overly prescriptive provisions). The 2002 Act included a focus on sustainability and referred to the 'four well-beings' social, economic, environmental and cultural. The purpose of the act was to encourage democratic process and to support the general well-being and good health of communities through the activities of local authorities. The National led Government's 2012 Act seeks to remove the four well-beings and force local authorities to stick to supporting core infrastructure only. This is supposed to ensure that rates will not be increased above inflation and limit spending on supposedly dubious cultural and sporting events. The Act is also intended to support a review of existing local bodies and potentially allow the amalgamation of councils into more cost effective unitary authorities. There is also a provision to enable the Government to step in and over-ride any local body decision that they may disagree with. This Government is sending a strong message to local authorities, there will be no more flexibility in spending and they will have to focus on the important stuff like sewerage and street lights. Apparently councils around New Zealand are wasting huge amounts of money on street races, busking festivals, Santa parades and libraries and it has to stop because they are pushing up the rates. If councils keep wasting money like this the Government will do what they did in Canterbury, sack the council and instate commissioners. We have left the 'Nanny State' of Helen Clark and now have the 'Big Daddy State' of Planet Key where any misbehaving, austerity rejecting local body will find themselves sacked and the heavies will be sent in. I can't help feeling this is a little hypocritical when the Government itself blows millions on yacht races, rugby tournaments and expensive BMWs and is borrowing money like it's going out of fashion. This sort of knee jerk politics ignores the reality for much of the increased spending. It isn't the Santa parades that are pushing up rates but the fact that waste management is just becoming more and more expensive to do properly (we can't just dump rubbish in the nearest abandoned quarry or pour raw sewerage directly into the sea any more). Also the Government itself has cut funding to support regional roads because of their motorway plans and support for waste management in small communities is underfunded. In the big scheme of things it isn't the busking festivals that are breaking council budgets, they are just easy targets. The National led Government have approached their own governance in a similar manner when they targeted beneficiaries when the real problem was maintaining the $2 billion a year tax cuts to the rich. Welcome to our totalitarian State. Though calling it communist style is wrong. Russia was only communist for about a fortnight until the Stalinists predecessors took over. I am not sure what the right word is because fascists also like to make everyone feel better off for the brief period before they cement their power, And start the death squads. National will be slightly kinder. You will be allowed to beg, instead of being killed immediately. I guess any system becomes corrupted, even captitalism in its purest sense wasn't supposed to be as bad as it has become. 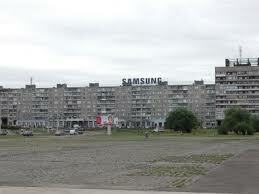 I travelled through parts of Eastern Europe in the 80s and it was often fairly bleak. National don't use guns to knock people off they just shoot them down via their media mates as Mike Joy has found. I wonder how long his funding will last too?